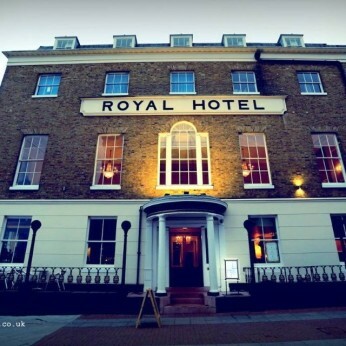 Blending the original structure’s rich history with 21st-Century comforts, the sympathetic restoration of this jewel in the crown of Southend-on-Sea now comprises a ground floor cocktail bar, lounge and a restaurant situated in the first floor ballroom. The Cocktail Bar and Lounge is the perfect setting for an informal lunch or cocktail in a relaxed setting, where you can enjoy our fresh dishes made daily. The Lounge also serves an array of fabulous tea and coffee along with homemade cakes and treats. A delicious breakfast is served everyday from 9.30am until 11.30am every day of the week. Our resident mixologist has created a variety of signature drinks, along with old school classics, contemporary twists and new found favourites. An array of freshly prepared lite bites and platters are available in the bar daily, perfect for sharing with your friends whilst enjoying a cocktail. Serving classic British and international a la carte dishes with a modern twist using fresh, seasonal, local products. With period décor, including extensive cornice work, the restaurant provides a wonderful dining experience with superb views across the Thames - including the world famous pier. The restaurant serves lunch, afternoon tea and dinner.